Growing up, there was a neighborhood kid who seemed to be built out of granite. No matter the game, he played rough. Sometimes we ascribe that same granite roughness to our God. If you were Miriam, you might have thought so. Yet, in the midst of hard judgment, grace followed. Paul’s instruction to the Church at Rome regarding the law of God sounds equally rough. Matthew’s comments aboiut a brother who sins and refuses to listen also strike hard. That’s the part of the “whole counsel of God” we try to ignore yet cannot. Operate as your own god, and separation from the flock and ruin follow. This is justice and judgment. Equally sure but harder to fathom is that God takes no pleasure in this. In fact, God seeks the lost and lonely sinner so that judgment can be met with an equally durable mercy and grace. Sometimes this is a direct encounter but often it’s God in the midst of two or more gathered to seek reconciliation. However it comes, the rough road to judgment and ruin can be detoured by coming to God openly and honestly. He is already there, softly and tenderly waiting and seeking. 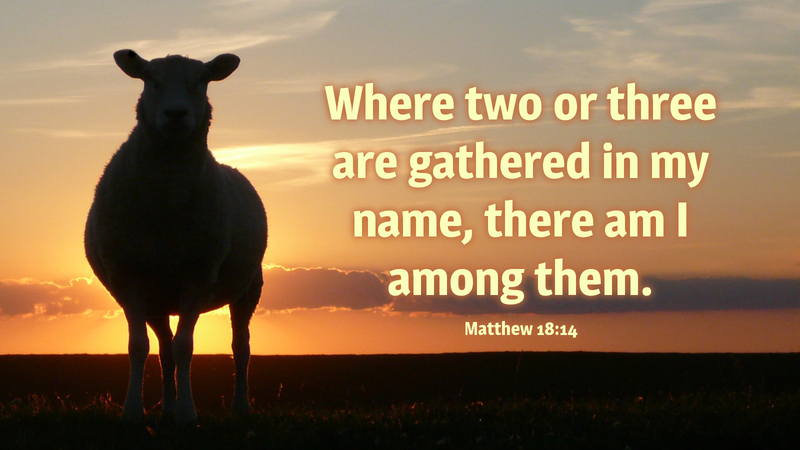 Prayer: “Now to be Thine, yea Thine alone, O Lamb of God, I come.” Amen. Today’s devotion was written by Jack Richards, retired NALC Pastor.